If you're even remotely interested in American music, the Stax Museum of American Soul Music is a must-see attraction on your visit to Memphis. The city was instrumental in the creation of soul music in the '60s and '70s, and this institution tells the story of how it happened. It's one of the only places in the world that does so. The museum is located in the former headquarters of Stax Records, the label that produced the music of Isaac Hayes, Eddie Floyd, Otis Redding, and other legends. Here you'll learn about the individual artists, labels like Motown, and the history of how soul music became what it is today. The museum has a vast permanent collection where you can listen to never before released tunes by Aretha Franklin, Stevie Wonder, and Marvin Gaye. You can walk by vintage equipment and even try your moves on a dance floor. It has rotating exhibits that keep locals coming back for more. This guide has everything you need to know about planning a visit to the Stax Museum of American Soul Music from when to visit to which exhibits you can see year-round. The full experience will take you about three hours, and you'll be grooving the entire time. 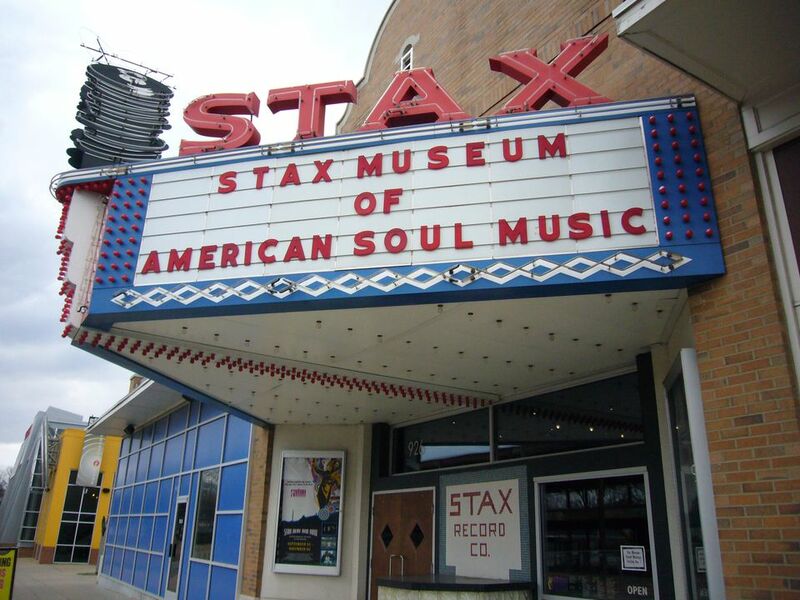 The Stax Museum of American Soul Music is located at 926 E. McLemore Avenue. It's in the South Main neighborhood, which is a more remote part of downtown Memphis. The best way to get there is either by driving (there is free parking) or taking an Uber. While the journey may seem far, hang in there; it's well worth the trip. Although the neighborhood is pretty run down today, it's important to note its history. At one point it was the home of Aretha Franklin, Memphis Slim, Memphis Minnie, and Booker T. Jones. An effort is underway to bring the area back to its former glory. With over 2,000 exhibits, the museum hardly ever gets crowded. The most important things to keep in mind is the museum is closed every Monday as well as Thanksgiving Day, Easter Sunday, and Christmas Day. Normal hours are Tuesday to Sunday 10 a.m. to 5 p.m. The museum is large and covers a lot of territory. But the permanent exhibits are fun, interactive, and well laid out so the museum flows naturally and feels manageable. You start your tour in a real Mississippi Delta church (the place gospel music was born) that has been reassembled inside the museum. You then make your way into a room where old episodes of Soul Train are playing on large screens (dancing is highly encouraged!). In another exhibit you will stand in the exact replica of a studio where legendary performers worked their magic. One of the final displays is a hall of records where the walls are lined with all the singles and albums released by Stax from 1957 to 1975. You can listen to any that pique your interest in the listening station. Don't miss Isaac Hayes' Cadillac Eldorado which was custom made for him. Be prepared to squirm with envy as you see his refrigerated mini bar, television, 24-carat gold exterior trim, and fur carpeting, all in the car. The museum organizes tours for groups of 15 people or more. Each year the Stax Museum showcases a rotating collection of artifacts, photographs, and documents in a temporary exhibit space. In 2019 for example, the museum displayed the photo collection of Don Nix, an American songwriter, musician, and author who was influential in creating the "Memphis soul" sound. He had photos of George Harrison, Ringo Starr, Sam the Sham, and other musicians with whom he worked. The museum hosts a variety of special programs for children. For example, during Black History Month and Valentine's Day it holds a series of family-friendly activities and crafts that spotlighted black musicians and leaders. For adults the museum hosts panel discussions with Stax legends, book signings, and more. The schedule of events vary month to month so check the website before your visit. Those visiting Memphis in the summer shouldn't miss the museum's live concert series every Tuesday in June and July from 2 to 4 p.m. It's free for Shelby County Residents. Parcels, flash photography, pets, and audio/visual devices are never allowed at the museum. Leave them at home. While the Stax Museum of American Soul Music doesn't have it's own cafe, locals recommend heading to The Four Way Soul Food Restaurant for some grub before or after your visit. The establishment has been there since 1946, and it has served some of the greatest soul musicians and leaders of all time. Jesse Jackson, Reverend Al Green, Gladys Knight, Elvis Presley, Aretha Franklin, Ike and Tina Turner, they all counted this place as their favorite. Start your meal with fried green tomatoes and then dig into a fried catfish sandwich with boiled okra on the side. The foundation that runs the Stax Museum also oversees the Stax Music Academy, which ensures the next generation of artists get the support they need to keep making soul music. Musicians apply to be part of the academy, and they get training, mentors, and other resources to help them succeed. These students also put on regular performances open to the public. Find the schedule on the website. The foundation also run the Soulsville Charter School in Memphis. It's a tuition-free public charter school that was founded in 2005 and provides music training and education to its students. It is located in the same neighborhood as the museum.